What is the Pay Transparency Act, 2018? What are its goals? As mentioned in our previous blog, this piece of legislation aims to make employers aware of and accountable for gender-based inequalities within their workplaces. Passed by the province on April 26 and receiving Royal Assent on May 7, the Pay Transparency Act will come into force on January 1, 2019. This Act aims to remove systemic barriers in the workplace that prevent women (and other minorities) from achieving equal pay. Further, this Act promotes both social and economic equality and fairness. It seeks to focus compensation negotiation on a candidate’s qualifications for the job rather than on their gender. Why is this Act needed? Over the past decade, there has been a stubborn and consistent wage gap between genders within the Ontario workplace. According to the Ministry of Labour, women get paid approximately 30% less than their male counterparts for the same jobs. To view it another way, women get paid approximately 70 cents for every $1.00 paid to men for doing the same job. While already ridiculous on its face, this gap gets worse once other diversity characteristics begin to pile up. The wage gap increases for those women who are Indigenous, are racialized, are members of the LGBTQ+ community, have disabilities, or are any combination of these traits. This Act stands out because it is part of Then Now Next: Ontario’s Strategy for Women’s Economic Empowerment. This 3-year strategy itself is part of Ontario’s initiative to address the systemic difficulties faced by women in the workplace. This strategy has goals to address many of the inequalities faced by women and minorities in the workplace, their homes, and within their communities. In order to achieve these, the strategy seeks to empower women and change perspectives. How will this Act work to achieve these goals? The Pay Transparency Act will be applied in phases. It will first affect the Ontario Public Service, then it will expand to affect employers of 250+ employees in 2020 and employers of 100+ employees in 2021. • Establishes a framework requiring larger employers to track and report compensation gaps based on gender/other diversity characteristics. In 2019, there will be transparency in the hiring process of the public sector regarding compensation for that particular position. With this Act in place, women will be in better positions to negotiate their salaries and to ensure their compensation is on par with their male counterparts. 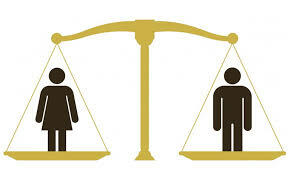 After all, knowledge is power and the lack of it is one of the primary barriers women face regarding economic equality. The Pay Transparency Act aims to provide transparency and knowledge so it can be used as an effective bargaining tool by minorities to ensure candidates are assessed on their merit and their qualifications to achieve equal compensation. Resolving gender and other diversity characteristic-based inequalities in the workplace will not happen overnight. However, the fact that this legislation has passed and will come into effect within the next year is a promising glimpse of the significance and weight given to this issue by our province. It remains to be seen the effects this legislation will have on Ontario’s workplaces and society as a whole.